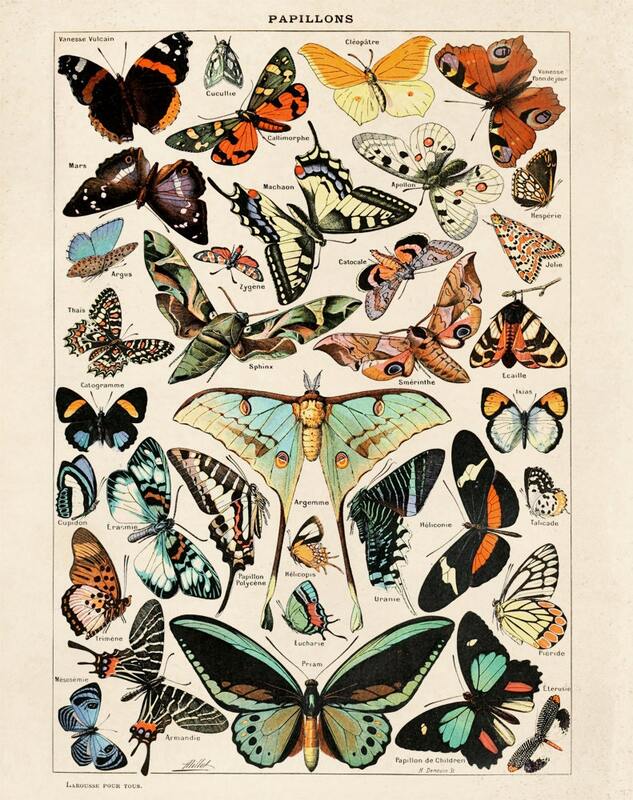 Vintage Butterfly Poster Reproduction: This print comes from Le Petit Larousse Illustré, commonly known simply as Le Petit Larousse, a French-language encyclopedic dictionary published by Éditions Larousse. The original art is by Adolphe Philippe Millot (1 May 1857, Paris –18 December 1921, also Paris), a French painter, lithographer and entomologist. 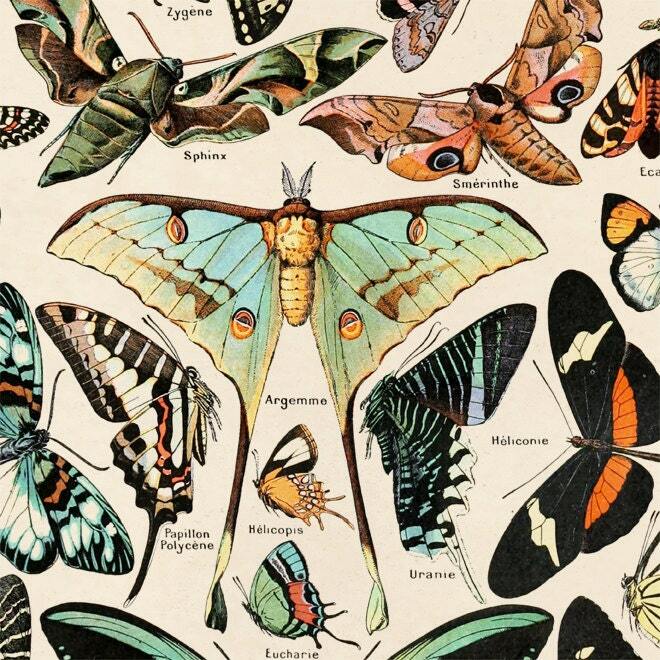 Adolphe Philippe Millot illustrated many of the natural history sections of Petit Larousse (French-language encyclopedic dictionary). The pages have been scanned in, cropped, and retouched to ensure the highest quality reproduction possible. This print is digitally printed on textured fine art paper, 100% cotton fiber, acid free, 15mil. All prints available in 11x14 or 16x20 .